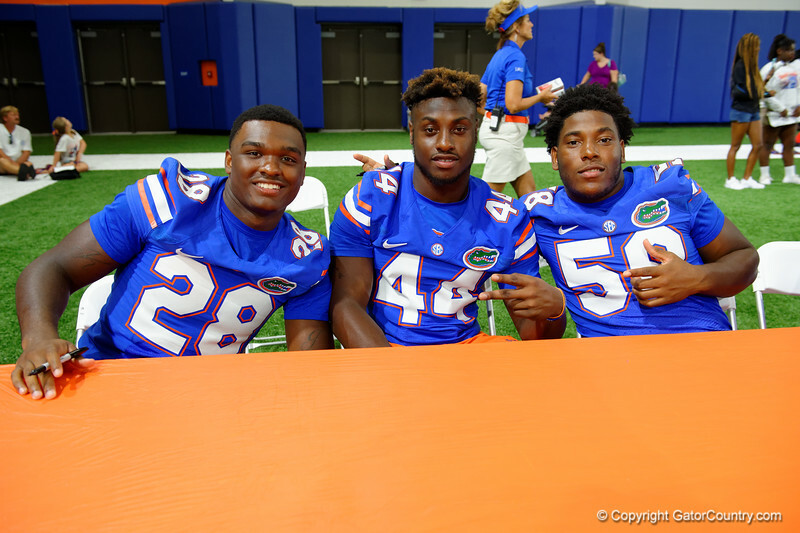 Florida Gators linebacker Kylan Johnson,Florida Gators wide receiver Tucker Nordman and Florida Gators linebacker Jahim Lawrence pose as the Florida football team hosts its annual fan day in the Indoor Practice Facility. August 20th, 2016. Gator Country photo by David Bowie.